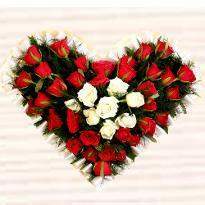 Online Valentines Day Flowers in Secunderabad : Buy & Send Now! Romance is the art of making a comfort zone with your lover. It is an art of talking to your lover in a way that your lover continuously falls in love with you. 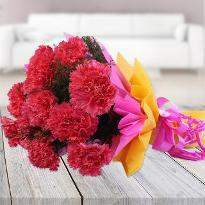 Flowers are a potent catalyst to amplify your romance. 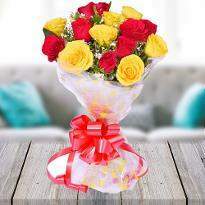 Get online Valentine day flower delivery in Secunderabad to tell your special one that you truly love and care for them. 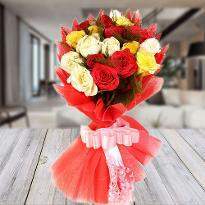 Buy flowers for your lovely partner on Valentine's day. Shop for the most romantic flowers to woo your special one on Valentine's day. 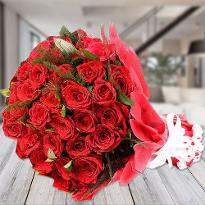 Send Valentine’s day flowers to Secunderabad to your special one and let them celebrate this day of love with the fragrance of fresh flowers. We have all the flowers that you have been looking for. 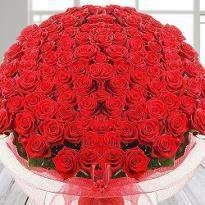 Among flowers, red roses are the symbol of passion and love. 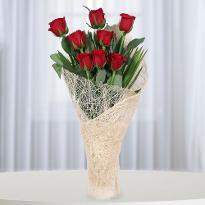 Send Valentine’s day flowers to your partner as a gesture to show your love and passion towards them. 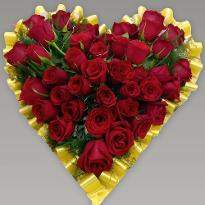 We offer e same day Valentine flower delivery in Secunderabad. This will make the recipients feel special. 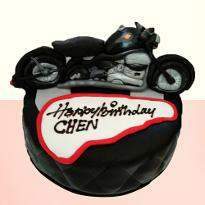 Choose no one but Winni to fulfill the immense task to satisfy the person who means the world to you. 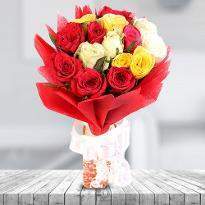 We have the freshest and the most beautiful flowers to choose from. Let no barrier stop you from kindling the heart where you have got a permanent place. 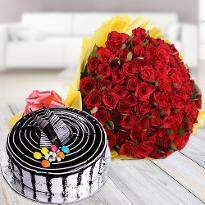 Order online flowers in Secunderabad with India’s largest delivery system and immolate all your worries about online Valentine's day flowers delivery in Secunderabad. We are one dedicated team, a vigilante trying to spread smiles at your doorstep. 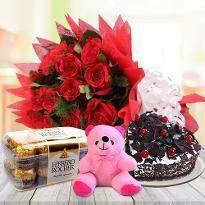 Send Valentine’s day flowers online in Secunderabad as and when you like it with our customized delivery plans. 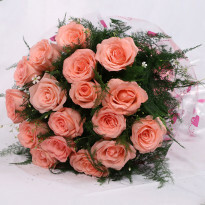 You can also send online Valentine's day flowers to Secunderabad with home delivery and save some bucks. 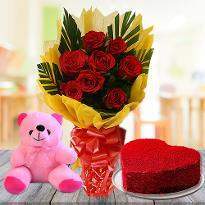 Adding to your delight, we provide Valentine’s day flowers delivery in Secunderabad on attractive price. 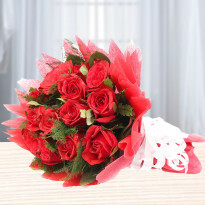 Express your love for your special one by sending Valentine’s day flowers to Secunderabad. 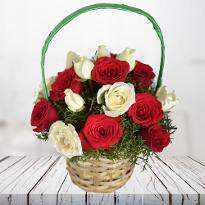 Wrapped in the bouquet of red roses or the petals of gorgeous floral arrangements, Winni will deliver your affection to your darling whenever you want. 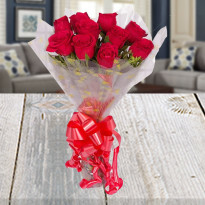 Celebrate Valentine’s day this year, by surprising your boyfriend, girlfriend, husband, wife by gifting their favorite flowers. 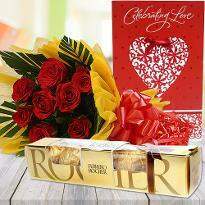 From bouquet, baskets of their favorite roses, carnation, lilies, gerberas, orchids, etc. 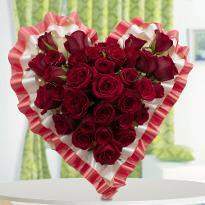 to beautiful heart shaped and other arrangements of roses and mixed flowers, you can get everything here. 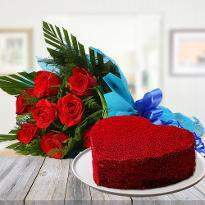 Valentine’s day is one of the most awaited occasions for lovers to express their love or take the first step for a relationship. 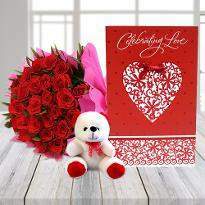 Be it proposing to your crush or boyfriend/girlfriend or celebrating the first Valentine’s day after marriage, or any other such special reason, we all want the cupid’s day to be memorable of our special one. Gifting is a great idea. 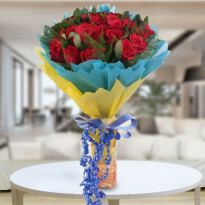 You can always gift different combinations of flowers to your special one in Secunderabad. 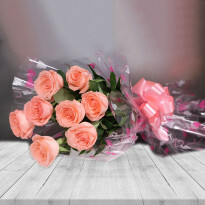 If your lover is far away from you always be made to feel remembered and loved then choose our online Valentine's day flowers delivery in Secunderabad.